Let me start with a disclaimer that, of course, all Mother’s Days are special. Year after year the macaroni necklaces, cards leaking glitter, and burnt toast smothered in four quarts of grape jelly (served to you in bed by sticky fingered children) all show how special you are to your little crew. Because only mothers know that being appreciated often feels about 10% like happiness and 90% like itchy crumbs in your sheets. But for me, there’s nothing quite like a first Mother’s Day — the one you celebrated when your oldest baby was still less than a year old. 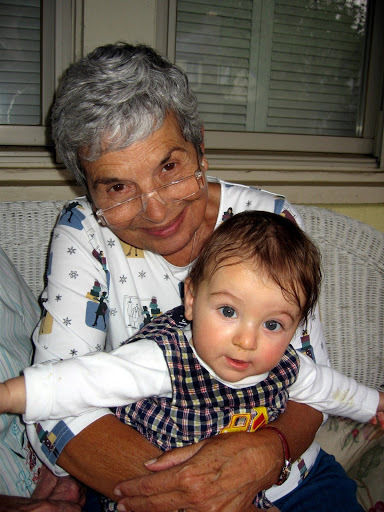 It was the first time you didn’t just honor your own mother, but were also honored as a mother in your own right, joining the ranks of generations of women before you. My first Mother’s Day was definitely my favorite, and that’s saying a lot considering the impressive number of “free hug” coupons and sweet, delicious Mother’s Day brunches I’ve enjoyed in the years since. 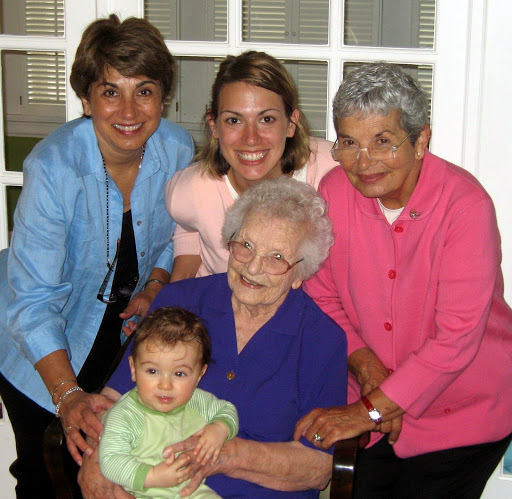 That first year was extra special because not only was I still beaming with the fresh excitement of new motherhood, but my mom, grandmother, and great-grandmother all came to visit for the occasion; what a rare and amazing gift to have five generations all together! On top of just spending time together (and smothering Miles with attention, which he ate right up even though he couldn’t quite figure out why all these women fawning all over him looked so much alike), the day stands out in my memory because my mother-in-law joined us for brunch at my house which — and this part is important — I DID NOT HAVE TO LIFT A FINGER TO PREPARE. 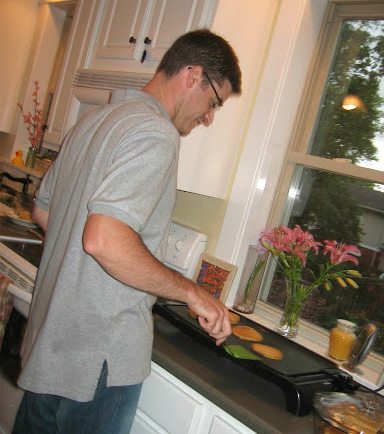 In fact, Even Steven cooked everything and it was delicious (although to be honest, I’d have said that about burnt toast with grape jelly at that point, as long as I didn’t have to make it…or clean it up). 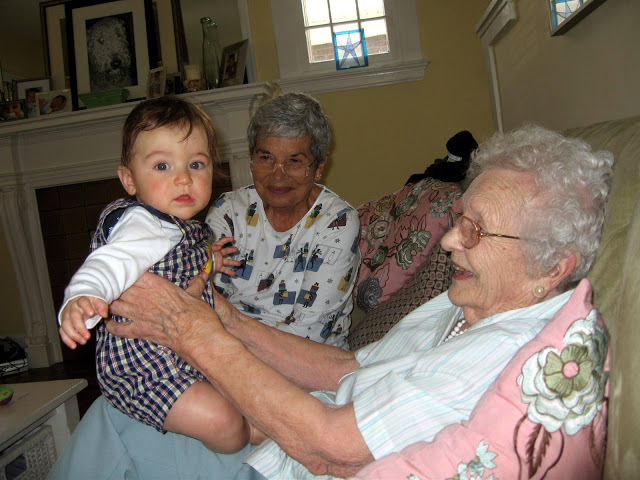 I honestly can’t remember if there were gifts exchanged, but I do remember looking around that table and being blown away by the beautiful and amazing mothers that were sitting around my dining room table. 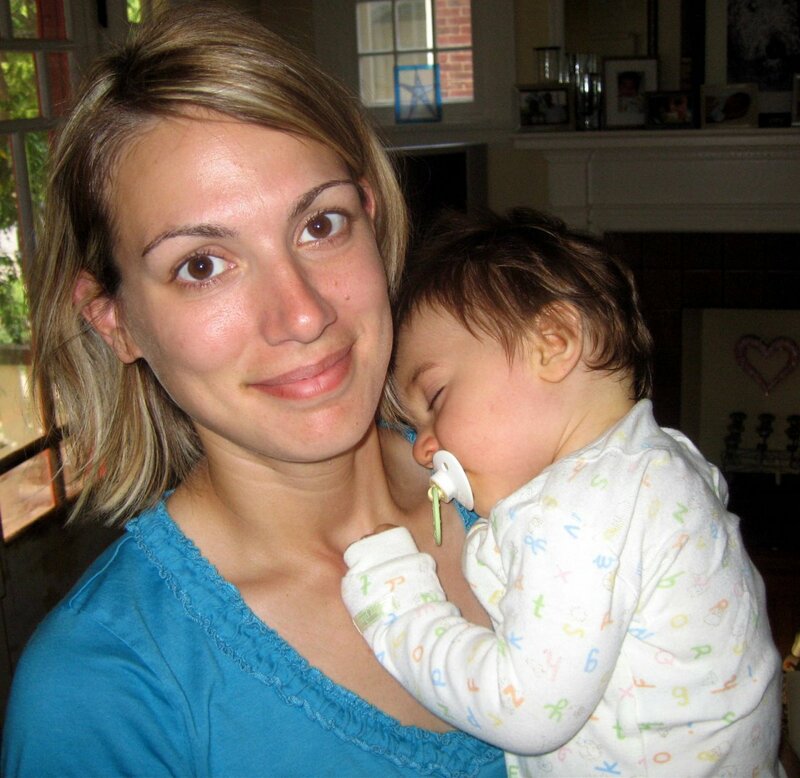 But the best part — and I feel sure any mom will back me up on this — was the nap I got to take that afternoon. Dads take note: Flowers are lovely, chocolates are nice, but there really is no Mother’s Day gift that can compete with a nap. And free is always nice for new, growing families, since the vast majority of their income is devoted to outfits their child will outgrow by the end of the week and unrecognizable puréed vegetables in jars. To that end, here’s a Mother’s Day gift you’re sure to appreciate — from Luvs! 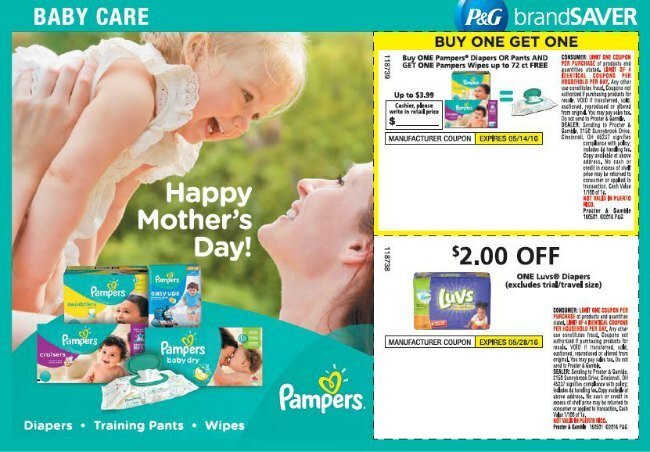 Look for the P&G insert in this Sunday’s paper (May 1, 2016) with a $2 off Luvs diaper pack coupon. 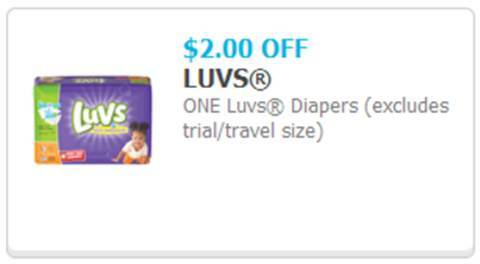 Get your scissors out and use this coupon at any mass, discount or grocery stores where Luvs Diapers are sold. 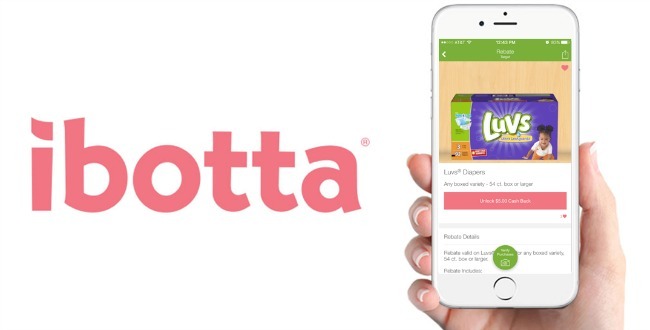 Download the free Ibotta app on iOS or Android and search “Luvs” to unlock an exclusive $5 rebate. That’ll give your budget a break and probably save you from dealing with several ruined blow-out onesies. 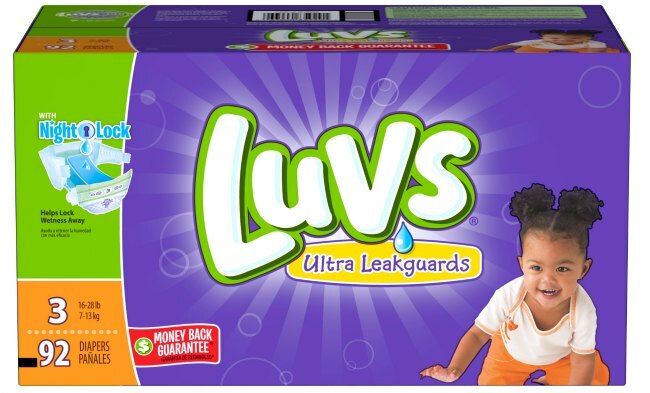 So happy Mother’s Day, and enjoy your gift of savings from Luvs! It’s no macaroni necklace, but it’s pretty darn good. This post is sponsored by Luvs. All opinions and Mother’s Day memories are my own.